A historic building is a fragile resource that requires the finestcare. Maintenance and rehabilitation of walls and facades call fora thorough understanding of the forces that cause deterioration,knowledge of the properties of building materials, up-to-dateinspection tools and methods, and a solid command of renovation andrepair techniques. In this complete reference manual, recognizedexperts provide state-of-the-art information and methodologies forthe inspection, maintenance, and restoration of historic buildingsof virtually every period, style, and material. For architects, building contractors, and owners of historicbuildings, Historic Building Facades clarifies procedures, helpsidentify sources of deterioration, and offers solutions to even themost difficult maintenance and rehabilitation problems. 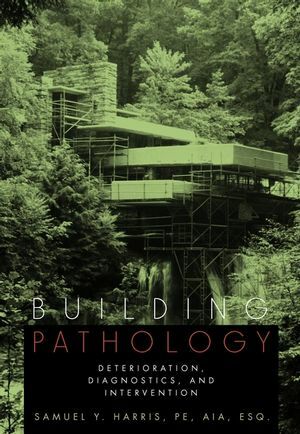 It is alsoan excellent reference for building preservationists, architecturalhistorians, and students of building design and preservation. 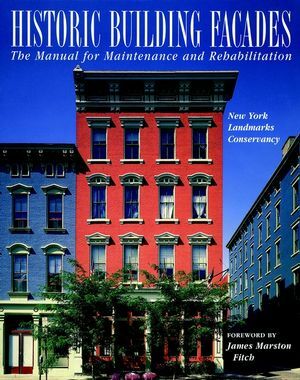 New York Landmarks Conservancy is the author of Historic Building Facades: The Manual for Maintenance and Rehabilitation, published by Wiley. William G. Foulks is the author of Historic Building Facades: The Manual for Maintenance and Rehabilitation, published by Wiley. Plan for Restoration or Replacement of Facade Components.